Wightman Telecom offers a broad selection of voice and converged data products from a number of world-class system manufacturers. Wired or wireless, we have solutions for all small and medium businesses. We supply NEC products so you can be sure that the quality of these feature-rich systems can be counted on to keep your business up and running. Pair this with Wightman's award-winning local service team, which is available 24 hours a day, 7 days a week, and you've got a reliable combination that your business can count on. Learn more about NEC systems and check out their complete lineup. 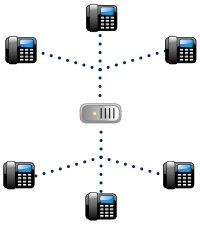 A feature-rich IP based telephone system that is easily customizable; providing enhanced functionality tailored to suit your business. A scalable, modular design allowing your business to add easily to its hardware package, as required. Wightman’s solutions are especially suited for businesses whose offices and employees are dispersed geographically and are looking to increase voice communication without incurring long distance charges. Available where Wightman internet exists. 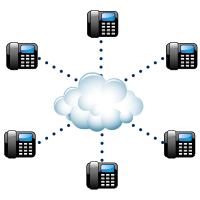 All the benefits and features of a commercial telephone system without the overwhelming purchase & maintenance costs. Connect multiple offices in different locations within Wightman's service area, and enjoy the ability to call & page each other without long distance fees. Wightman will develop custom software packages and provide IT services to improve the efficiency, effectiveness, and productivity of your business. Maintenance, troubleshooting, & upgrades are handled exclusively by Wightman’s very own local network technicians. 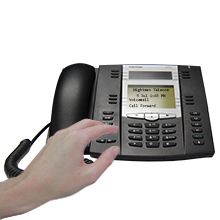 See our User Guides for HPBX Handsets. For more information, contact us at 1-866-927-9229 or use the form below. Phone fraud is a widespread problem in North America and across the globe, and as technology advances, so do the opportunities for fraud. No matter where your business is located or who your phone provider is, Phone Fraud is a concern for your business. Find out how you can protect yourself.